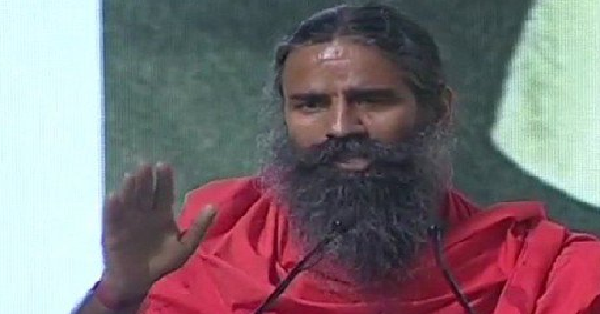 Self-styled godman and Yoga Guru turned Business tycoon and Model Ramkishen Yadav popularly known as Baba Ramdev in Aligarh on Thursday suggested a new formula for population control. Talking to ANI, he said that voting rights and government jobs should have been snatched from those who produce more than two kids. “Those who have more than 2 children, their voting rights should be taken away and they should not be allowed to contest elections. Don’t let them use govt schools, hospitals, & don’t give them govt jobs. Population will be controlled automatically” ANI quoted Ramdev as saying. Ramdev said this in an event of his new venture Patanjali Paridhaan a new branch of his company dealing in garments including Jeans which he claims more Sanskaari than other Indian and foreign brands. Baba Ramdev has got mastery over creating controversies to publicise his products. Ramdev himself does modelling of all his Patanjali products on televisions. Although, he claims that his products are pure and affordable, most of his products are costlier than those available in the market and so main claims are regarding his poor quality products. Baba Ramdev has been delivering his controversial statements and courting wrath of people. In an event of Gyan Kunbh in Dehradun, in November 2018 he had said those who produced more than two kids should be deprived of voting rights. He also added that those who were unmarried like him should have been given special privileges. In 2016, Ramdev had courted controversy for a speech in Rohtak where he said but for the rule of law he would have “beheaded” lakhs of people for refusing to chant ‘Bharat mata ki jai’. Ramdev had made the comment while addressing a peace meeting during the Jat quota agitation last year. Besides Ramdev, his employees have been talking in a bad taste. In September last year, his yoga instructor and Patanjali employee, Satinath Barale had made unsavoury comments about Vaishnava Saint Srimanta Shankardev at a yoga camp at Duni village in Darang district of Assam. The 15th century saint-scholar and socio-religious reformer is revered as the architect of the social and cultural identity of Assamese across the state. Barale had said that Shankardev was not a saint, there is nothing spiritual about Namghar, a prayer house and community center made by Shankardev. He also said the practice of lighting lamp in Namghar using mustard oil was sheer stupidity. Exactly two months before the Barale fiasco, a plant manager at Patanjali, SB Singh, in an interview with the New York Times had said that people in Assam had bad habits like eating non-vegetarian food and did not know how to respect the nation. “Assam’s people have bad habits, including eating non-vegetarian food and a lack of proper respect for the nation,” he was quoted in the newspaper. He also said that Patanjali was mentally conditioning the local workers and ran more than 380 workshops for prospective employees, where the company taught them value system. 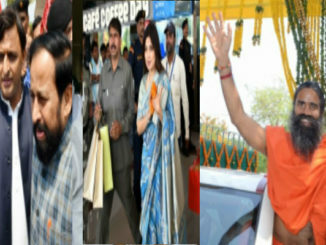 Priyanka Pathak Narain, a journalist penned a biography on Baba Ramdev “Godman to Tycoon: The Untold Story of Baba Ramdev” that had created a buzz on social media. Narain’s book traces the entire orbit of Ramdev’s life – from farm boy to yoga aspirant to television enthusiast to business mogul. 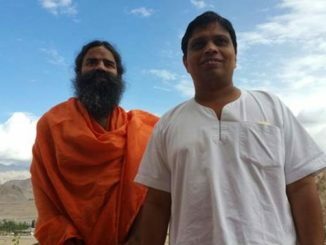 The book delved into certain dark realms of Ramdev’s life – such as the mysterious disappearance of his guru Shankar Dev (and Ramdev’s strange press conference, after), a couple of murky, unsolved deaths of people connected closely with his ashram, a purported bullying of the previous chairman of Aastha India (which Ramdev eventually took over), et al. “Yogananda is said to have had a falling out with Ramdev’s increasingly powerful enterprise but the reasons for this are still unknown… The murder remains unsolved till date….” Narain highlighted in her biography. Soon after the book was released, injunction was filed and the book vanished from the market. Some channels had interviewed however no channel followed up the story. What happened to the book and what happended to the author is unkown? This book is silently banned in India. An American news publication The Foreign Policy report said Ramdev’s “clout” coupled with his money power “will play a big role” in the upcoming general elections of India. “Remember his name: Ramdev may himself end up in high office one day,” it said.